Apple shut down Google's ability to distribute its internal iOS apps earlier today. A person familiar with the situation told The Verge that early versions of Google Maps, Hangouts, Gmail, and other pre-release beta apps stopped working alongside employee-only apps like a Gbus app for transportation and Google's internal cafe app. The block came after Google was found to be in violation of Apple's app distribution policy, and followed a similar shutdown that was issued to Facebook earlier this week. TechCrunch and Bloomberg's Mark Bergen reported late Thursday that the apps' functionality had been restored; Apple appears to have worked more closely with Google to fix this situation. "We are working together with Google to help them reinstate their enterprise certificates very quickly," an Apple spokesperson earlier told BuzzFeed. Apple's move to block Google's developer certificate comes just a day after Google disabled its Screenwise Meter app following press coverage. Google's private app was designed to monitor how people use their iPhones, similar to Facebook's research app. 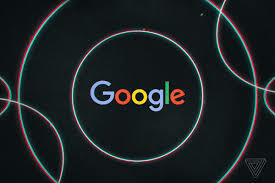 Google's app also relied on Apple's enterprise program, which enables the distribution of internal apps within a company. In an earlier statement over Facebook's certificate removal, Apple did warn that "any developer using their enterprise certificates to distribute apps to consumers will have their certificates revoked." Facebook's internal iOS apps have since resumed functioning, as the social network said this afternoon that Apple had restored its enterprise certificate. Apple is clearly sticking to its rules and applying them equally to Facebook, Google, and likely many other companies that get caught breaking Apple's rules in the future. There's growing evidence that a number of companies are using Apple's enterprise program to distribute apps to consumers. iOS developer Alex Fajkowski has discovered that Amazon, DoorDash, and Sonos all distribute beta versions of their apps to non-employees. Apple may be forced to take action against these apps, or to even revamp its entire enterprise program in the future.